There’s nothing like a reliable security camera system to ensure peace of mind when you are away from home. It’s such a relief knowing you can check on your house directly from your smartphone, even if you’re several time zones away. But your home security cameras could actually save your life—or the life of someone you love—one day. Check out these three ways that security cameras can save lives. Security cameras add convenience to your daily routine—but they can also save lives. Keep reading to see how. How can home security cameras save my life? A security camera on its own is a valuable tool, but it can become life-saving when combined with customized smart home technology. 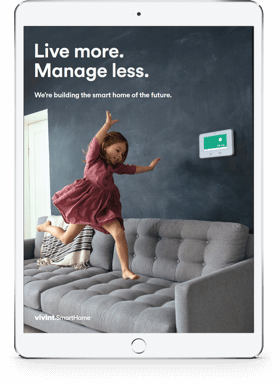 Vivint Smart Home security cameras for outdoor and indoor use work in conjunction with Vivint’s 24/7 monitoring to prevent—or help you respond to—crisis situations. You can view your smart camera feeds from anywhere, and we’re there backing you up, too, night and day. Outdoor cameras to monitor activity around the exterior of your home and keep you informed of possible dangers. The motion-activated cameras begin recording when there's activity on your property, and you'll receive an alert on your mobile device. 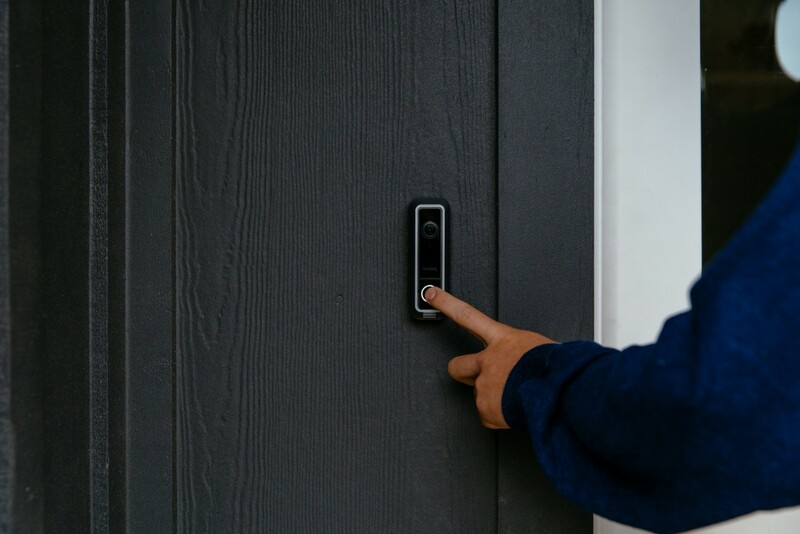 A Vivint Doorbell Camera to monitor the entrance to your home and see all visitors who approach your property. 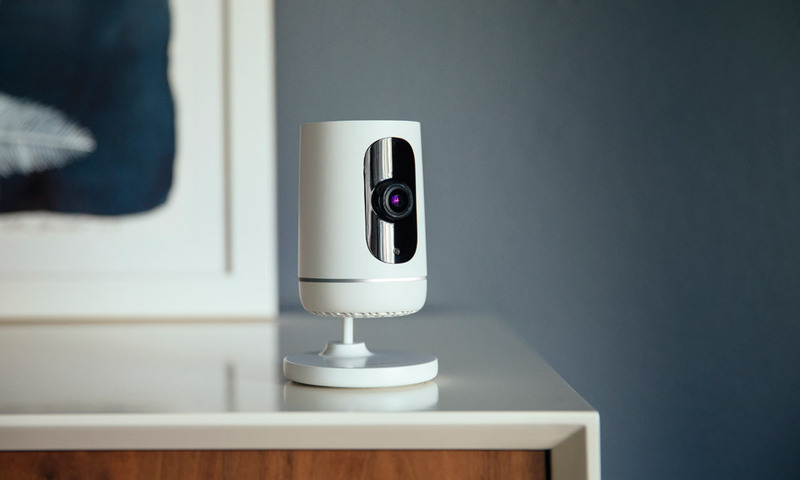 The Vivint Ping Camera, an indoor camera that lets you see, speak, and stay connected to your home and loved ones. And in an emergency, you can view live and recorded video of what’s happening inside your house. For added security, both the Ping camera and the doorbell camera have two-way talk functionality, so you can have meaningful conversations during emergency situations. However, it’s through the combination of these security cameras and your smart home system that you see the biggest impact. Here are three scenarios where a smart security camera system can save lives. With Vivint security cameras installed, you can rest easy knowing your family is safe. A security system can save lives before a break-in ever happens. That’s because simply having a security system may prevent would-be robbers from targeting your home. 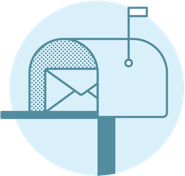 Additionally, with a Vivint Outdoor Camera or Doorbell Camera, you're home will be even more protected. That's because you'll receive real-time alerts via the Vivint Smart Home app when motion is detected. This means if anyone approaches your home with the intent to enter, you'll be aware of it before they get to the door or window. If a break-in does occur, our 24/7 monitoring team will notify you and request assistance from the proper authorities. 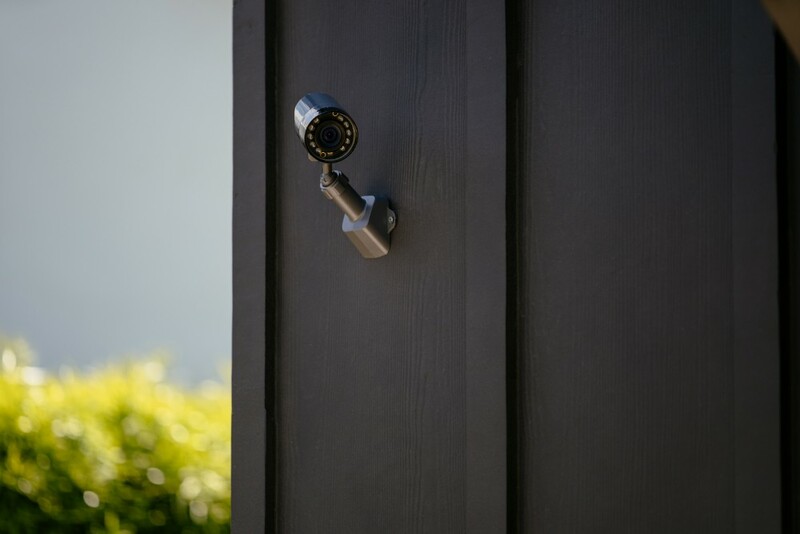 The cameras in and around your home provide valuable evidence in the form of HD video recordings, making it easy to see the intruder and what happened. My wife and I were out of town and we had just made it to the hotel room when a doorbell camera notification popped up on my Vivint app. I clicked on it and found that a man was there looking a little suspicious. I answered through the 2-way talk feature and the man was a little startled but asked if this was 1455 Oak Street. I told him that it wasn't. He asked again saying that he didn't hear me and I answered back again but this time he noticed where the voice was coming from and that it had a camera attached. That's when he abruptly stated thank you and left. Away from home and left the kids with a sitter? With a Vivint Ping Camera, you can not only see how your children and the babysitter are getting along, but also communicate with them directly when necessary thanks to the camera's two-way talk feature. This is especially helpful in a emergency situation that your babysitter is unsure how to handle. They can contact you with the simple touch of a button and you can walk them through the situation. We are parents of a 46-year-old daughter that was born deaf and has cerebral palsy. We have very seldom had any type of respite in our 46 years as parents. Since Tina, our daughter, can not communicate to us if anything is wrong, it has been hard to have strangers come in our home and take care of her needs. Since Vivint cameras were installed in our home it has been easier to go out for a few hours. We are able to watch her from our phone, iPad, and laptop. I can also call the nanny and point out some sign language she can use to help communicate with Tina. It helps. Once we fired a lady on the spot. Kids at home with a babysitter or nanny? 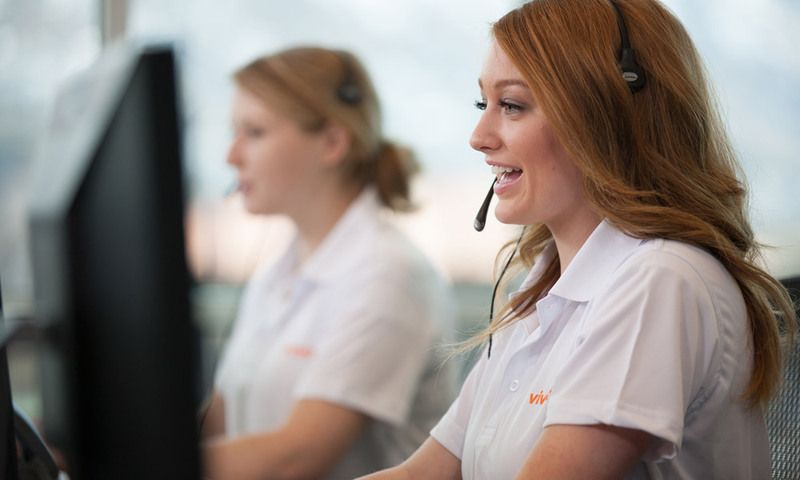 Communicate with them in case of an emergency via your Vivint Ping Camera. Your Ping camera can also be lifesaving if you or a loved one fall down or sustain an injury and need assistance. If your device is within reach, you can press the call-out button and contact a family member to come help you. 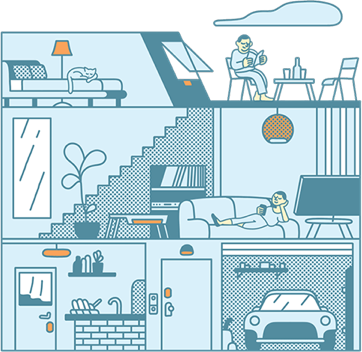 If the device is out of reach, you can use the Vivint Smart Home app on your smartphone or a panic pendant to get help from Vivint's 24/7 monitoring team. My 90-year-old grandma lives alone and had been falling frequently, unable to move or call and let someone know. She was also concerned people were trying to break into her house. I suggested she get a Vivint system. 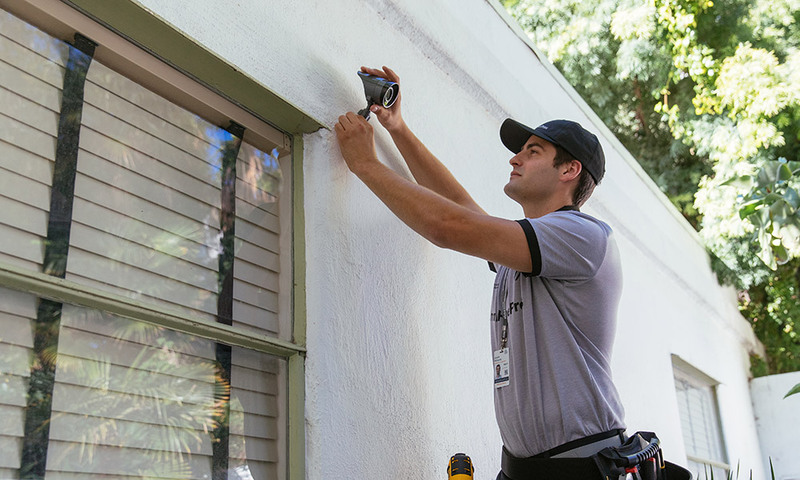 Your family will always be taken care of with Vivint's 24/7 professional monitoring. There are many ways security cameras can be used to make your life easier—and even save it. Never leave home without the assurance that your family is protected from a worst-case scenario. Give our Smart Home Pros a call today at 800.646.1469 for a free quote and to get started on your customized home security system.